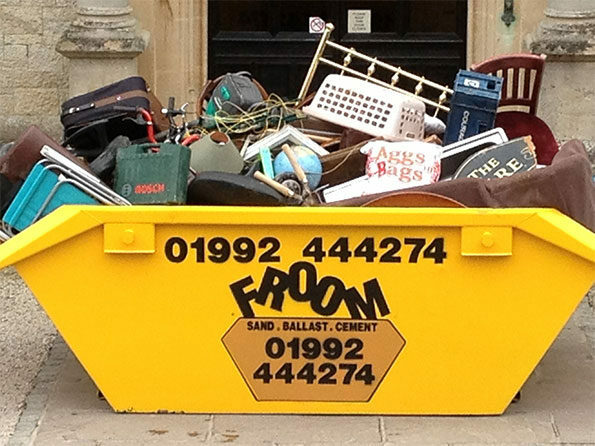 Skip Hire Hoddesdon – Froom has a large array of skip sizes for hire covering Hoddesdon and surrounding areas. We deliver skips in Hertfordshire and Essex. We supply and deliver 4 yard skips, 7 yard skips, 12 yard skips, 14 yard skips and 16 yard skips across Hertfordshire, Essex and North London, to find out if we deliver skips to your area, town or village please take a look at our skip coverage area below.